So last night we were invited to the fantastic launch of the BFI’s rather impressive celebration / honour of black screen work with the ‘BFI Black Star’ programme. Held at the BFI’s Southbank residence, the star filled night was led by comedienne Gina Yashere and featured a discussion with DJ Norman Jay MBE. 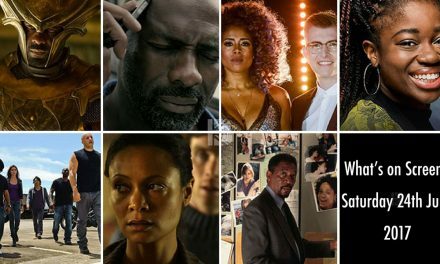 Black Star, will be the UK’s biggest ever season of film and television dedicated to celebrating the range, versatility and power of black actors and the relationship between stars and the audiences who love them, spotlighting great performances by black actors on screen. Black Star will champion the achievements of black stars from the earliest years of cinema through to the present day, whilst exploring why opportunities to shine on screen have been historically limited for black actors. Black Star celebrates films that feature black actors in central roles, bringing their work to a new generation of UK audiences and helping to reposition them and their performances in our collective memory. 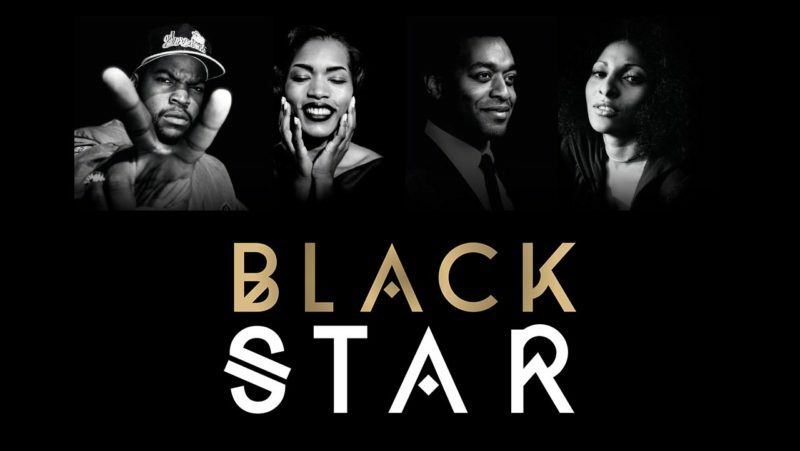 Black Star will be available to audiences everywhere in the UK; in cinemas including BFI Southbank, on BBC Television, on DVD/Blu-ray and online via BFI Player from 17 October – 31 December, with further projects planned to celebrate the contribution of black practitioners working across film and TV in the coming years. OKAY SO… what does all this mean… A LOT! 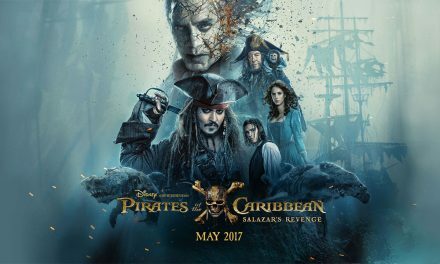 It’s kind of impossible to put the three months of exclusive and exciting screenings and events into a concise nutshell… but I’ll try. What does that mean, what will we see? Boyz N The Hood (John Singleton, 1991) | A United Kingdom (dir. Amma Asante) | Queen of Katwe (dir. Mira Nair) | Malcolm X (Spike Lee, 1992) | Ali (Michael Mann’s, 2001) | Dreamgirls (Bill Condon, 2006) | Stormy Weather(Andrew L. Stone, 1943) | Carmen Jones (Otto Preminger, 1954)| Island in the Sun (Robert Rossen, 1957), Oscar®-winning star Sidney Poitier, whose films No Way Out (Joseph L. Mankiewicz, 1950), In the Heat of the Night (Norman Jewison, 1967) and A Raisin in the Sun | 12 Years a Slave (Steve McQueen, 2013) | Selma (Ava DuVernay, 2014) |Attack the Block (Joe Cornish, 2011) | Sweet Sweetback’s Baadasssss Song (Melvin van Peebles, 1971) | Shaft(Gordon Parks, 1971) | Black Dynamite (Scott Sanders, 2009) | Foxy Brown (Jack Hill, 1974) | Bamboozled (2000) | Ganja and Hess (Bill Gunn, 1973) | Blade (Stephen Norrington, 1998) | Seven (David Fincher, 1995) | Rocky III(Sylvester Stallone, 1982) | Creed (Ryan Coogler, 2015) | Brown Sugar (Rick Famuyiwa, 2002) | The Bodyguard(Mick Jackson, 1992) | Waiting to Exhale (Forest Whitaker, 1995) | Set It Off (F. Gary Gray, 1996) | Claudine (John Berry, 1974) | Ghost Dog: The Way of the Samurai (Jim Jarmusch, 1999) | Richard Pryor: Live in Concert (Jeff Margolis, 1979) | Coming to America (John Landis, 1988) | Car Wash (Michael Schultz, 1976) | Hollywood Shuffle(Robert Townsend, 1987) | Friday (F. Gary Gray, 1995) | Gridlock’d (Vondie Curtis-Hall, 1997) | Song of Freedom (J. Elder Wills, 1936) | Show Boat (James Whale, 1936) | George A. Romero’s Night of the Living Dead (1968) | Spike Lee’s Do the Right Thing (1989) | The Wiz (1978) | Beasts of the Southern Wild (2012), Half of a Yellow Sun(2013) | American Gangster (2007) | Deliver Us From Eva (2003) | Second Coming (debbie tucker green, 2014) | Malcolm X (Spike Lee, 1992)… and MORE. Alongside a special screening of the 1st ever episode of the ground-breaking and much-loved Channel 4 seriesDesmond’s (1989-1994) which will be celebrated through a special on-stage cast reunion event. The Nollywood Star – a conversation with Nigerian screen queen Nse Ikpe-Etim who reflects on her career and the Nollywood star system in conversation with Nadia Denton. The Doctor’s Orders, Time Out’s ‘kings of the capital’s Hip Hop scene’ join BFI Southbank to present a range of club nights for adults, a Hip Hop pub quiz to celebrate the BFI’s re-release of Boyz N The Hood, and a special Sunday morning club event called Fun DMC, for kids and parents, to accompany BFI Family screenings. The Doctor’s Orders’ Spin Doctor will also create a special Hip Hop soundtracks mix in association with Mixcloud to celebrate the BLACK STAR season. 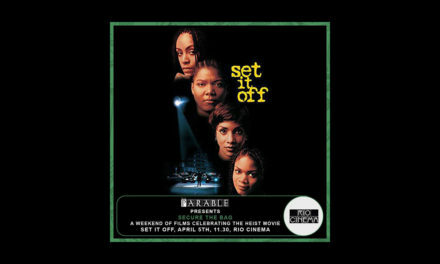 Black Star programmer Ashley Clark will introduce a special screening of Spike Lee’s scathing satire of race and the media Bamboozled, and be present afterwards for a signing of his book Facing Blackness: Media and Minstrelsy in Spike Lee’s Bamboozled (The Critical Press). The BFI Film Audience Network (BFI FAN) will deliver over 275 bespoke screenings and events in over 90 different locations right across the UK. 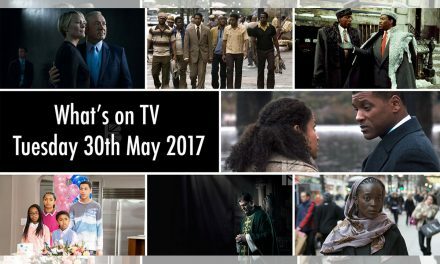 Multiple locations: DJ Norman Jay MBE will tour five venues with a series of films that star actors such as Sidney Poitier, and Blaxploitation classic Shaft with Richard Rowntree. Jay will introduce each film, explaining the influences these stars have had on his career and life, and provide a DJ set incorporating rare soundtracks from the history of black cinema at venues in London, Leeds, Exeter, Manchester and Bristol. UK-wide: Picturehouse Cinemas presents The Fabulous Nicholas Brothers – a rare and entertaining look at African-American artists the Nicholas Brothers who are virtually unknown by the larger public. A new 4K DCP of Stormy Weather (1943), starring the Nicholas Brothers and Lena Horne, and a compilation tribute presented by Bruce Goldstein, Director of Repertory Programming at Film Forum in New York – legendary programmer, and writer and co-producer of a 1991 documentary on the brothers – will tour over 15 venues across the UK, giving audiences the chance to celebrate these charismatic performers from the glamorous period of the Hollywood musical. Supporting this tour will be an immersive screening of Stormy Weather in the heritage Blackpool Winter Gardens followed by a swing/jive party. Richard Pryor becomes a focus in Belfast and Sheffield: Stir Crazy will be shown in the extraordinary setting of nineteenth century Crumlin Road Gaol in Belfast as part of the Belfast Film Festival, and an immersive screening of Car Wash will take place as a Drive-In at a disused Sheffield car wash as part of Sensoria (the festival of music, film and digital media). Come the Revolution will host a House Party double bill presenting some of the funniest films from the breakout era of Black Comedy, featuring comic stars ranging from Richard Pryor to Whoopi Goldberg, and culminating in a 90s themed music night, delivered in collaboration with Bristol’s finest DJs. Cardiff: Let Paul Robeson Sing! – Paul Robeson’s impact on Welsh life will be celebrated in Cardiff with a performance from a Welsh choir and vocalists at a screening of The Proud Valley, from newly remastered material, and a panel discussion on Robeson and how he is remembered today in the BAME communities of Wales. The event will be led by Chapter in partnership with Welsh National Opera and Royal Welsh College of Music and Drama. Birmingham: Badasssss Icons – Blaxploitation season – Working in tandem with October’s BASS Festival, the UK’s leading annual black music festival, led by Birmingham-based Punch Records and the Birmingham city centre’s Electric Cinema, this series of screenings will offer a rare chance to see some landmarks from the 1970s boom in black exploitation cinema, all in glorious 35mm. Offering contextual introductions, live music and dressing-up, the programme will help to inject life into the city’s late-night film culture and bring a new cinematic dimension to an established arts festival. Oh there’ll be a book from the BFI Compendium series, which will be a fully illustrated 160-page BFI compendium published to accompany the season, and will explore the theme of black stardom in film and TV. It features a range of new writing by contributors including film scholars and critics, as well as poets such as Claudia Rankine and novelists such as Kit De Waal. Available October 2016. Please go to the BFI website to find full information. PreviousMindCleanse Productions Casting For New Web Series. Deadline 23rd October 2016.